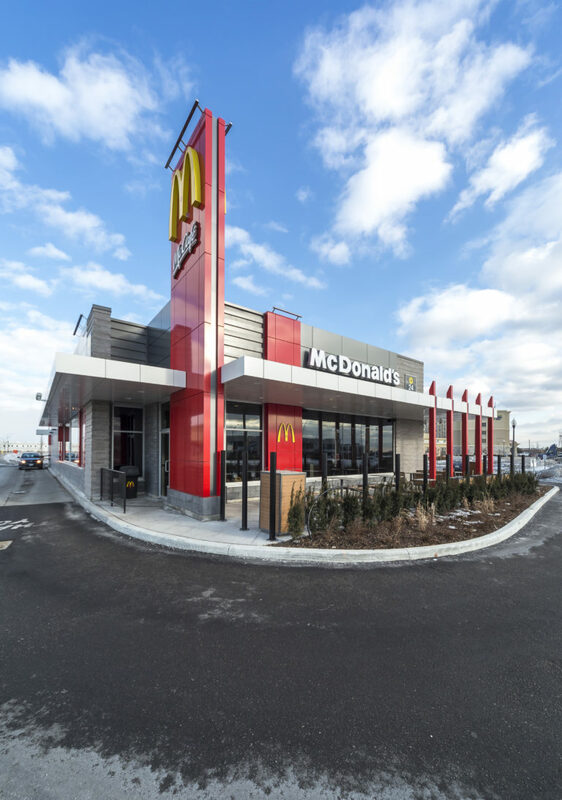 McDonald’s Canada’s nationwide re-image program called ‘Destination’, involved renovating over 400 McDonald’s restaurants in Ontario within a three year period. Turner Fleischer’s large team and expert experience made this vision a reality. 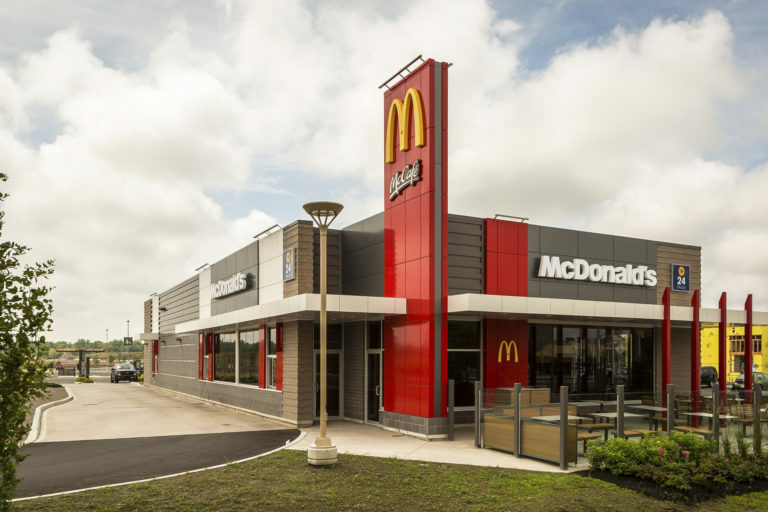 With a re-imaging plan and guidelines in place, McDonald’s Canada retained Turner Fleischer Architects to roll-out their new look, updating 400 locations across the province of Ontario to reflect their strong brand identity consistently nationwide. The interiors became more contemporary by adding large graphics, clean modern furnishings, wood vertical elements, improved lighting and adding the warmth of fire-places. Exteriors were also updated and redesigned to reflect the new direction of the brand. 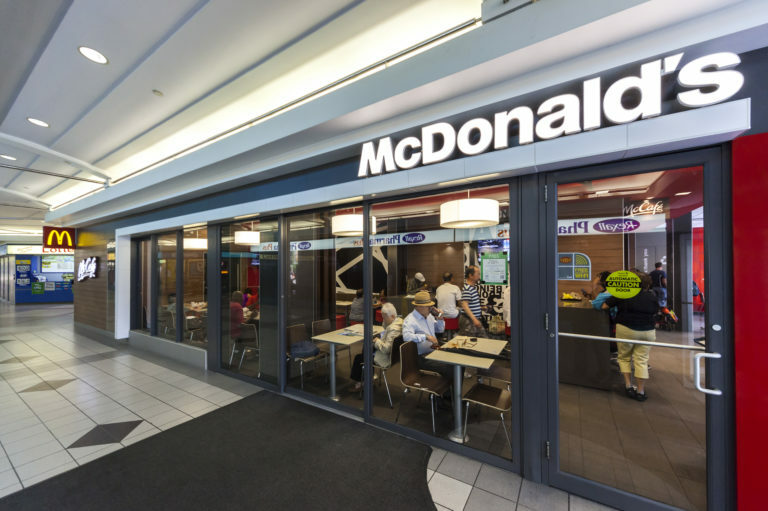 The restaurants all incorporate a separate variety of seating options for on-the-go customers, families, larger groups or individuals who want to stay, relax and enjoy the ambience. An impressive rollout, in terms of scale and schedule, the project was a resounding success, with sales lift ranging from 25% to 40% from this landmark program. 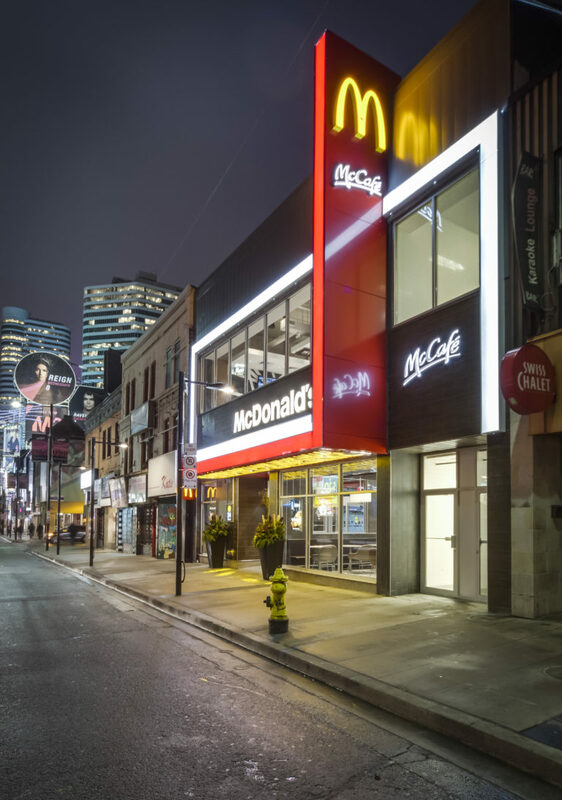 Of particular note is the Toronto Flagship location. 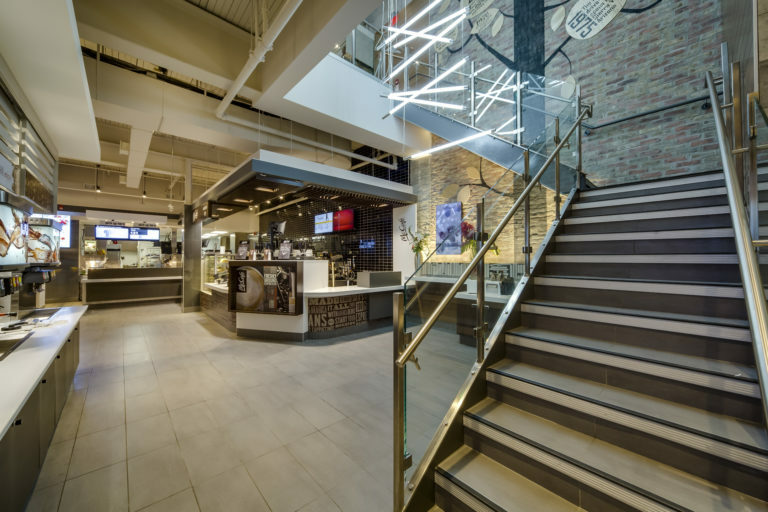 This 9,000 sf two-storey, 260 seat restaurant is the company’s largest in Ontario and showcases the most recent National design features. The restaurant is designed with unique dedicated spaces to cater to the variety of customers’ needs. On-the-go customers can sit at high tables complete with plug-ins to power up. Customers who prefer to linger can take advantage of comfortable seating areas by the fireplace or enjoy the dynamic view of Yonge Street from the second floor. 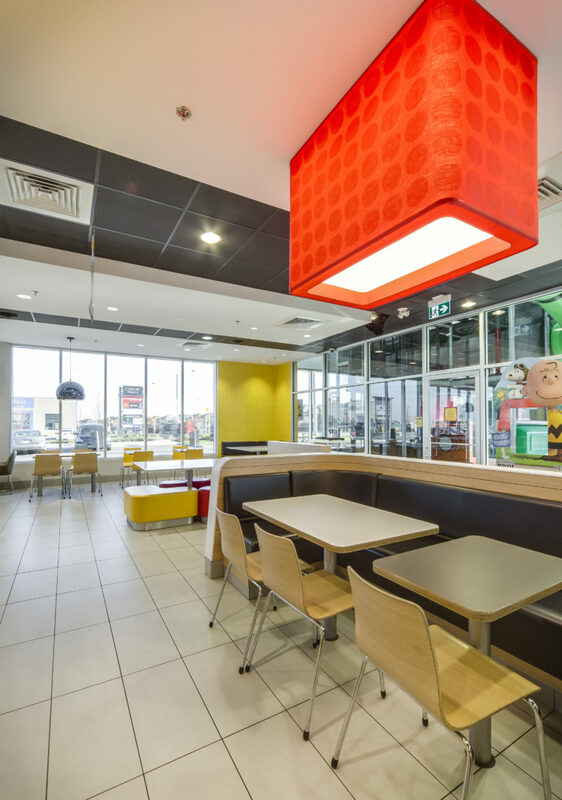 Open ceilings, exposed brick and an oversized light feature bring a loft-like urban vibe to the latest McDonald’s interior concept.